The aircraft was preparing to refuel a B-47 when the Number One Engine caught fire. The severity of the fuel fed fire caused a structural failure of the wing before the "engine fire drill" could be completed. 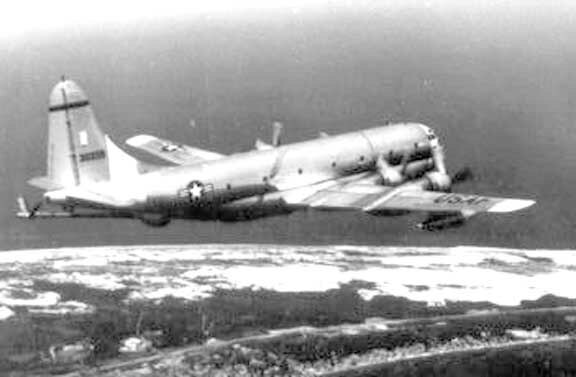 The plane entered a spiral from 15,500 feet, that eventually turned into a spin. It hit near the top of Jonathan Smith Mountain coming nearly straight down. None of the crew was able to bail out. see my Dirago Flyer ARTICLE about this incident. 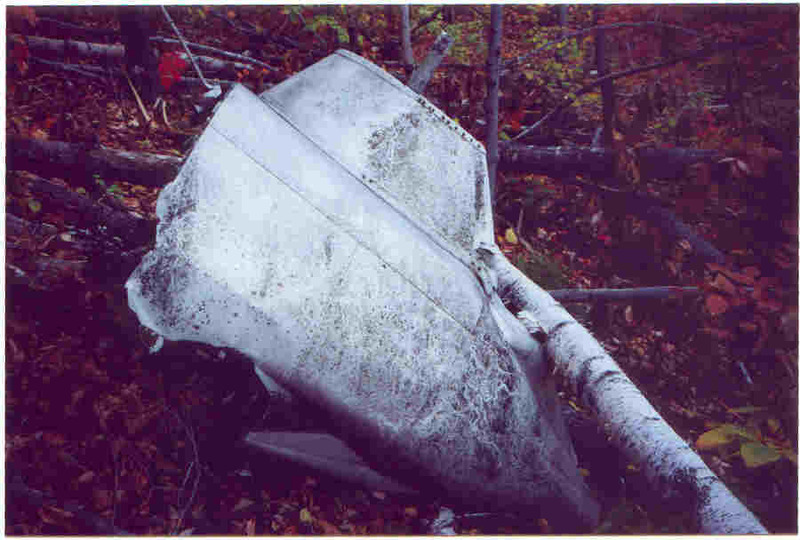 Piece of the starboard wing. 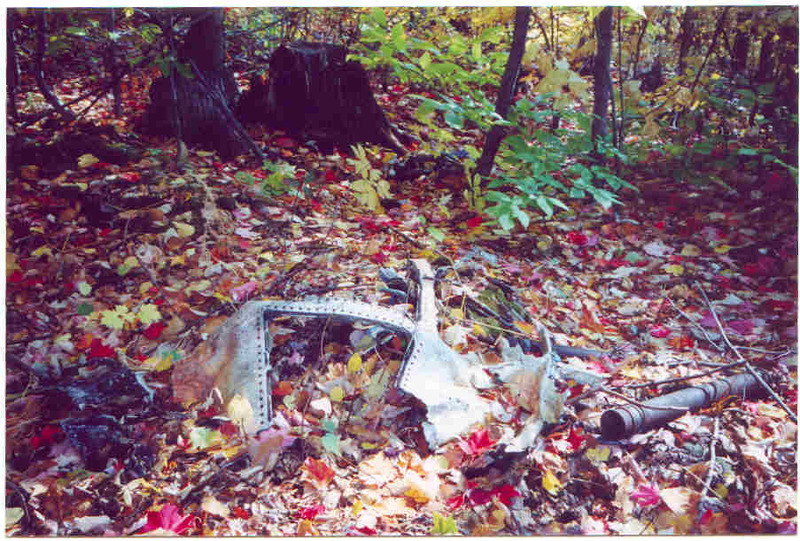 The aircraft created a small crater on the face of the steep slope and wreckage scattered uphill over a large area. A severe fire is evident on most of the wreckage. 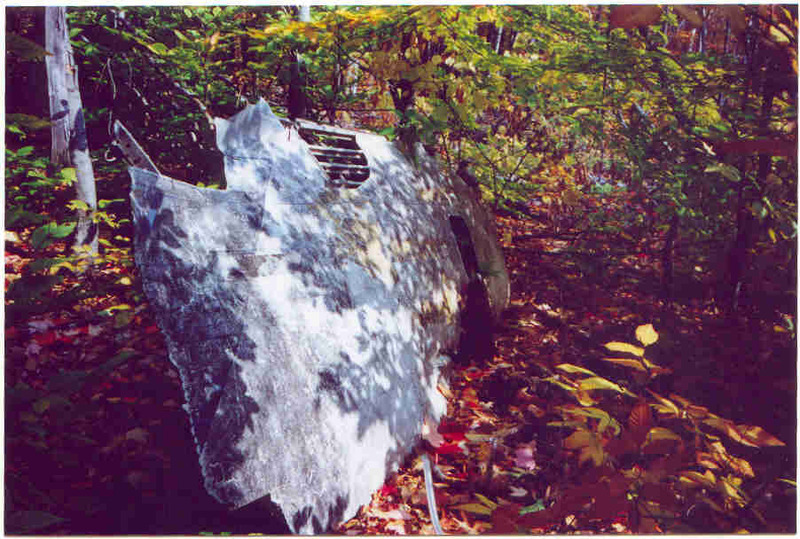 A section of fuselage skin with part of the "U.S. AIR FORCE" marking still visible. 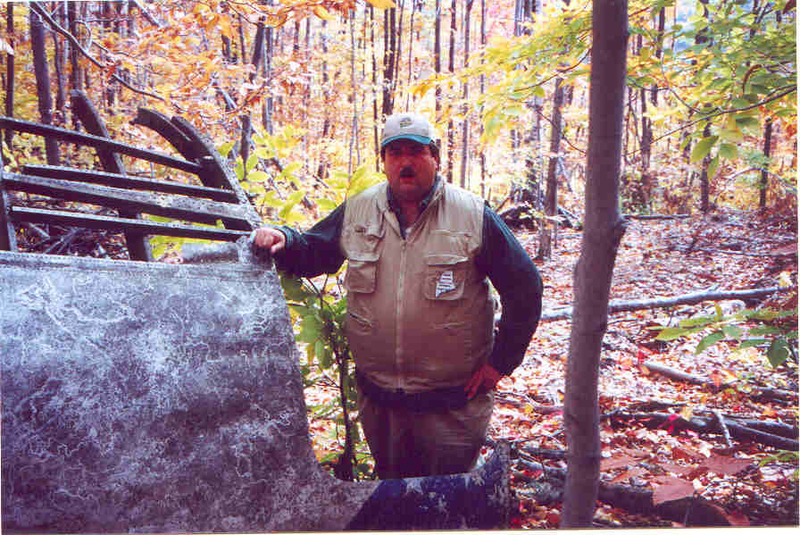 Pete Noddin with the fuselage section at the starboard rear emergency exit door (inverted). Note the SAC blue and white star band visible at the bottom of photo. 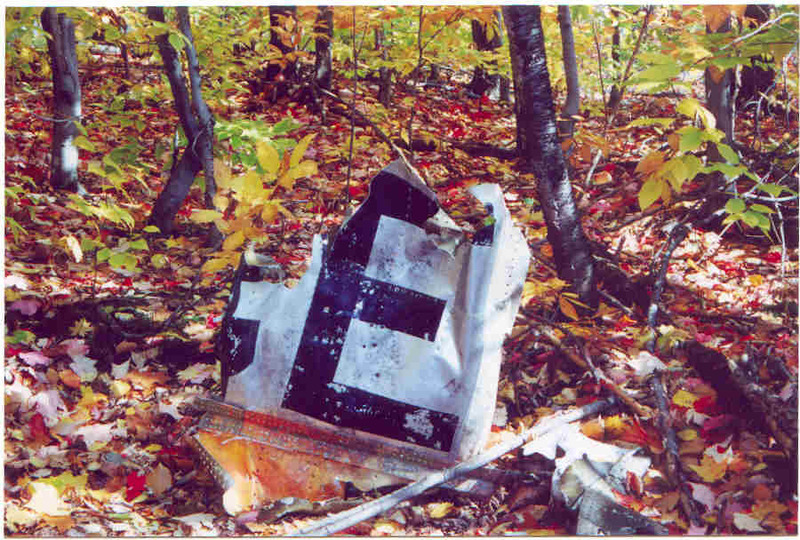 A piece of the distinctive "B-29"family windscreen frame above the crater. 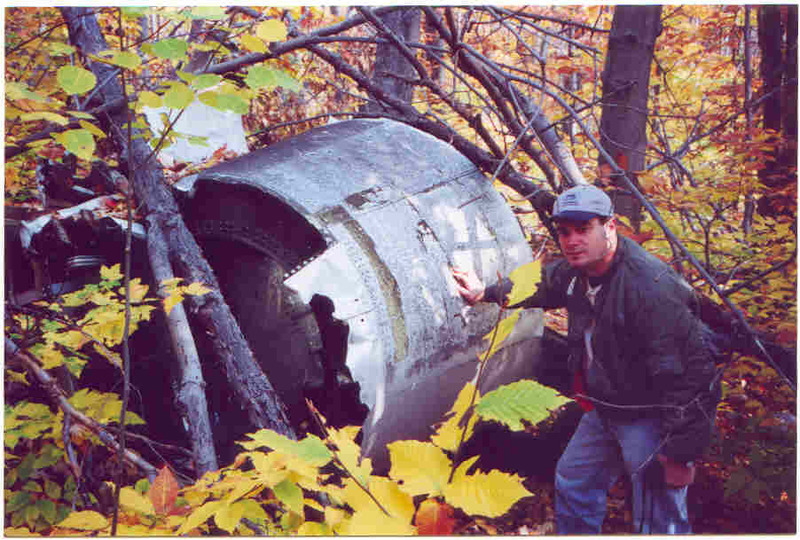 Scott Grant, Past President, Maine Aviation Historical Society, with the tail cone. 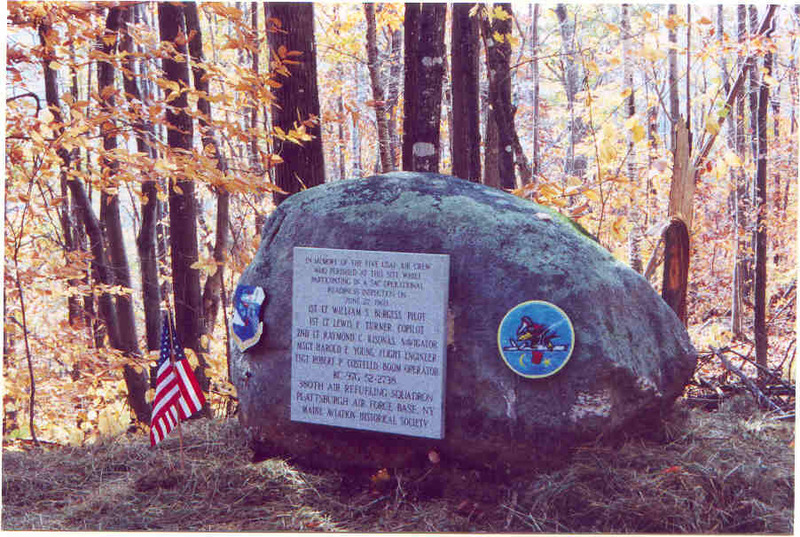 Maine Aviation Historical Society memorial to the five crewmen who died in this accident. The SAC shield is on the left, the 380th ARS patch on the right. Tail cone section with refueling boom yoke.